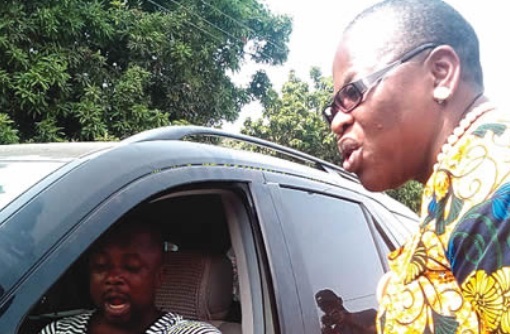 Even with the vast majority of Nigerians not having access to television and electricity, the culture of televised presidential debates has crept in and should be warmly embraced. The very essence of such debates is to identify a candidate with the competence and sanity to project and defend the national interest. The national interest, simply defined, is the very reason a nation exists. It is about the prestige of such a nation and the well-being of its peoples. It is because of the national interest that a nation goes to war, and it is also because of the same national interest that a nation quickly withdraws from a war it cannot win. While the rights of the individual are sacrosanct, such rights can only be upheld when they do not confront the very essence of the state. 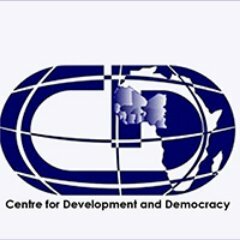 In a democracy, a nation goes through a variety of political rituals to identify, periodically, a candidate with the right credentials to uphold its integrity, and one of such rituals is to engage competing candidates in debates or some kind of political interviews that would culminate in an election. The culture of organised presidential debates emanated from the United States of America and is one of the many cultures we have copied from that great nation. That interesting televised debate of the pre-2011 presidential election involving Major General Muhammadu Buhari of the then Congress for Political Change (CPC), Malam Nuhu Ribadu of the then Action Congress of Nigeria (ACN) and Malam Ibrahim Shekarau of the then All Nigerian Peoples Party (ANPP), suggested it was one culture that was gradually taking root in our society. 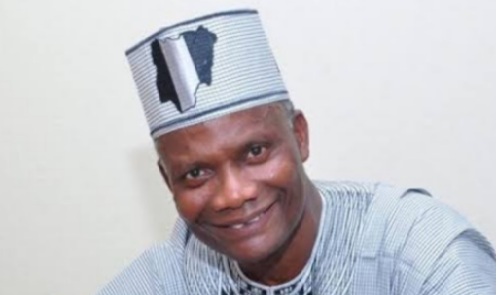 The then incumbent President Goodluck Jonathan of the Peoples Democratic Party (PDP), seeking to be elected into the position he occupied having succeeded President Umaru Musa Yar’Adua who died in office, did not participate in the debate organised by NN24. It will be revealed later in this article that such absence was not unusual, even in the United States of America. It may interest students of political history to know that the first ever debate in the USA between rivals for elective, political office, can be traced to 1857 when Abraham Lincoln insisted on having a debate with Stephen Douglas on “the virtue of the republic and the evil of slavery.” It was an unmoderated debate and what was then at stake was a senatorial seat in the State of Illinois. Abraham Lincoln lost that election but a history in political debating had already been made. Lincoln would later win the presidency in 1860, in an election which featured no political debates. In fact, there were no debates between presidential candidates until 1952 when the League of Women Voters organised debates between presidential candidates. The culture of televised debate would later become formalised with the televised debate between John F. Kennedy and Richard Nixon in 1960. The handsome and more charismatic John Kennedy won the televised debate while an earlier radio debate had been won by Nixon. Mr. Nixon was said to have appeared rather “shifty” on television, suggesting he could hardly be trusted, and that contributed to his loss of the election. If televised debates could prove the downfall of a candidate who otherwise could have won in an election, why bother to participate in them? President Lyndon Johnson refused to debate with Senator Barry Goldwater in 1964; he was leading in the polls, and public speaking was not his forte. Similarly, in 1968, Richard Nixon who again contested the presidency with Senator George McGovern, refused to debate. Nixon was the front runner in the opinion polls and his non-participation in a televised debate might have been informed by his earlier experience with John Kennedy in 1960. Just as Senator John McCain was about to do in one of his 2008 presidential debates with Barack Obama, saying he was attending to urgent legislative matters in Congress, President Jimmy Carter in 198O refused to participate in the first presidential debate because it included independent candidate John Anderson. He, however, attended subsequent debates and that memorable question by Ronald Reagan did him great damage: “Are Americans better off today than they were four years ago?” The state of the economy and the American hostage crisis in Iran suggested it was the right question that would nail the coffin of the Carter presidency. The official explanation for the absence of Goodluck Jonathan at the debate organised by NN24 in 2011 was that he had committed himself to an engagement involving political leaders of other nations. It was as if the presidential debate was neither important enough nor pre-arranged. 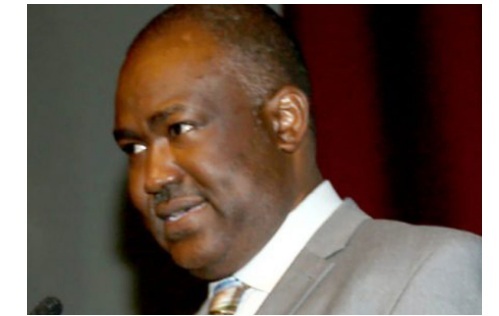 With no major achievement to flaunt in his then one year of leadership and with all the ills associated with his political party – the Peoples Democratic Party (PDP) – the suggestion that Jonathan might have “chickened out” could not have been far-fetched. Of course, lack of confidence in public speaking could be a reason one might not want to debate with a rival or opponent. One did watch a recording of the 2011 debate organised by NN24 along with some Nigerian friends. “You can see that the man is talking sense” was one sentence one of them kept on repeating each time the candidate of his choice took the stage. He seemed not to see any sense in what other presidential candidates were saying! The lack of objectivity on the part of our peoples suggests that the real value in the Nigerian presidential debate still belongs to the distant future. 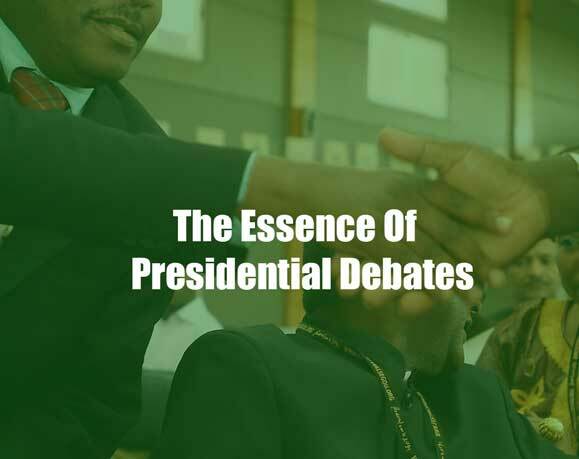 The essence of a presidential debate would be fully appreciated in a society where the people see it as an opportunity to evaluate the policies, preparedness and demeanour of those who seek to govern them. It must, however, also be warned that a candidate of great potentials may not be the best of debaters. In fact, crooks or con-men are not unknown for their great eloquence and charisma. In the United States of America where televised presidential debates have been around since 1960, or in Great Britain where debates between potential Prime Ministers took off for the first time in 2010, the outcome of elections tends to be decided by those alluded to as “floating voters.” Floating or undecided voters, as opposed to partisan voters, seek to be convinced about why their votes should be cast for those who solicit them. They are neither frivolous nor emotional in their voting decision. This is more so in the United States of America where the outcome of a presidential election could be dramatically influenced by an event on voting day. The one portrayed as a front runner could suddenly find himself or herself struggling to catch up in the opinion polls! We are not there yet! Our contemporary political behaviour is largely informed by bigotry and primordial sentiments. It will take many years of political education and improvements in the economic well-being of our peoples to overcome ethnic or religious bigotry. There is nothing particularly Nigerian in what one is saying here because overcoming bigotry has been an historical struggle even in the United States itself. Once there was a time in American history when a Barack Obama would not even reveal a dream that he was walking near the lawns of the White House. Such a dream might have been interpreted as that of a black person foreseeing that he was about to be lynched! Akinola is the author of Party Coalitions in Nigeria, among other books.